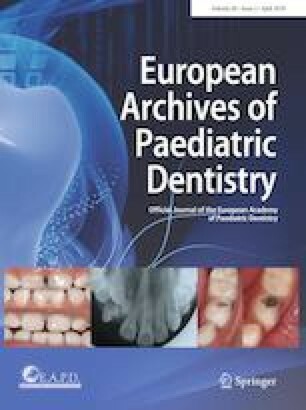 Studies assessing the influence of neonatal complications on children’s dental behaviour are lacking. We aimed to investigate whether prematurity, birth weight, and history of neonatal intensive care unit (NICU) hospitalisation are associated with distress during dental examination in children. This preliminary longitudinal, retrospective study included 42 5- and 6-year-old children. Distress during dental examination was assessed using the observational FLACC Pain Assessment Tool through video files. Children self-reported their pain (Faces Pain Scale-Revised) at the end of the session. Information about neonatal complications was obtained through medical records. Bivariate analysis was performed (P < 0.05). Children with low birth weight (P = 0.047) and toothache history (P = 0.005) had higher frequency of distress during dental examination. There was no association between distress, prematurity and history of NICU hospitalisation (P > 0.05). Health professionals can help to disseminate the knowledge that children with history of low birth weight are more prone to perceive distress with apparently painless procedures. APM received Master of Science scholarship from the Fundação de Amparo à Pesquisa do Estado de Goiás (FAPEG). PCF receives Post-doctoral fellowship scholarship from the Coordenação de Aperfeiçoamento de Pessoal de Nível Superior (Capes). LRC receives Research Productivity scholarship from the Conselho Nacional de Desenvolvimento Científico e Tecnológico (CNPq). These funding agencies have not interfered in any stage of the preparation of this study and this manuscript. All the procedures performed in this study involving human participants were in accordance with the ethical standards of the institutional research committee and with the 1964 Helsinki Declaration and its later amendments, as well as with the Brazilian national guidelines. Informed consent was obtained from the adults responsible for all individual participants included in this study.